16 November 2016, at 12:00a.m. 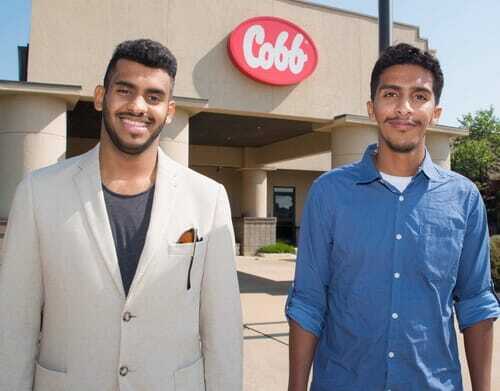 SAUDI ARABIA - The first eight students to take part in the Al Watania Institute of Technology (WIT) training programme have returned to Saudi Arabia after completing periods with Cobb-Vantress to gain first-hand experience in the USA, UK and Holland. The students each spent a month in various Cobb hatchery, farm, broiler trials, logistics and feed mill facilities to complement the classroom sessions they had completed as part of their WIT course. During their visits the students were given further insight into the Cobb business through a series of presentations from senior managers, and the three who were in the US also saw the Tyson Foods’ processing and broiler farm operations in Arkansas. “These first visits by WIT students were a great success and in addition to increasing their knowledge of the poultry industry they made many friends in North West Arkansas, the UK and the Netherlands,” said Roy Mutimer, Cobb vice president of sales in Europe, Middle East, Africa and the Asia-Pacific region. - WIT is a partnership between Al Watania, the largest poultry producer in Saudi Arabia, and the Technical and Vocational Training Corporation to train young adults in poultry production. More than US $13 million is being invested in the project aiming to benefit some 500 trainees from Saudi Arabia and ultimately from across the GCC’s member states. Cobb is a partner and sponsor of the project.